Find the perfect Valentine's Day Flowers and Flower bouquet arrangements from MyFlowerTree and express your love for someone special. Show you care for them more than anything else. Buy online and send it to them for a joyous celebration. Valentine’s Day is an official day of celebrating love, and it comes every year on February 14th. 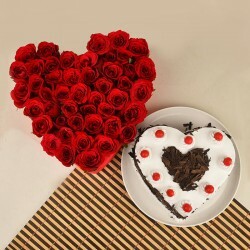 Although there are various ways to celebrate Valentine’s Day, the quintessential way is gifting. Since Valentine’s Day is associated with romantic love, people look out for romantic Valentine gifts for their beloved and needless to say that flowers make the most romantic gift option. Thus, MyFlowerTree brings to you the freshest quality of Valentine flowers online in Bareilly to help you recreate romance in your love life. On February 14th, everyone puts their best efforts to express their heartfelt feelings for their beloved and we are sure that you would also not want to miss this opportunity, right? So, if your girlfriend resides in the city of Bareilly then, this Valentine’s Day send her flowers and declare your love for her. This surprise will make your girl fall head over heels in love with you. It will make her feel special and an important part of your life. With our Valentine flower delivery in your city now you don’t have to go to a local florist to buy a bouquet of flowers and compromise with the quality because now you can order fresh Valentine flowers online from the comfort of your home.Although roses are the popular choice for Valentine’s Day, we have other beautiful flowers like lilies, tulips, carnations, daisies, orchids etc. We offer a variety of Valentine flower arrangements available in different styles and in a rainbow of colors. 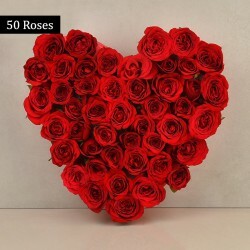 If you are looking for a special flower arrangement that exudes love and romance then, you can check our beautiful heart-shaped flower arrangements available on myflowertree.com. 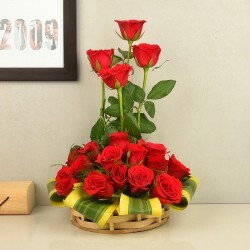 Moreover, we have vase flower arrangements, basket arrangements, box arrangements etc. If you want to make your Valentine feel extremely pampered, you can gift her our luxury flower box consisting of metallic roses. So, select a bouquet of flower for your girlfriend according to your choice and send Valentine flowers to Bareilly to make her feel special on Valentine’s Day. Flowers have always been the most popular gift for Valentine’s Day. The only difference is that earlier, people used to give flowers to their partner in person, and now they can send it too. 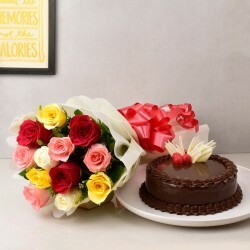 All thanks to online gift portals that now facilitates you with an online platform through which you can send flowers online to anywhere you want. 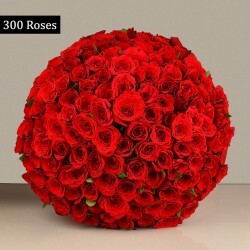 MyFlowerTree is one of the fastest growing online flower and gift portals in India from where you can now send Valentine flowers to Bareilly online in a few clicks. We also have some exciting Valentine gifts that are sure to make you and partner feel delighted. From delicious chocolates to cakes, mugs, cushions, personalized gifts etc. 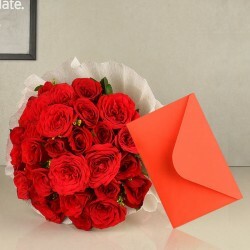 So, now send Valentine gifts to Bareilly for your partner along with a bunch of flowers and win her heart. 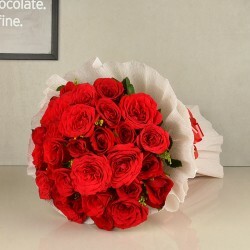 Therefore, this Valentine’s Day, rely on our express Valentine flower delivery service to send flowers to your beloved who puts up in Bareilly. 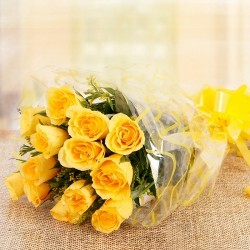 We provide same day and midnight flower delivery in 350+ cities across India and abroad as well. 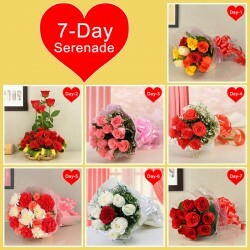 Thus, you can now also send Valentine flowers for your lover living in USA or UK or UAE or Sweden or Canada etc.